The Omni-channel experience has been hailed as the Holy Grail of customer service for a great reason. It provides the highest level of seamless, personalized customer experiences. Studies have shown that companies with an omni-channel program enjoy 24% greater annual returns in company revenue and a 55% decrease in the number of customer complaints. As stated by Aberdeen: “Omni-channel programs are not hype or a temporary best practice. 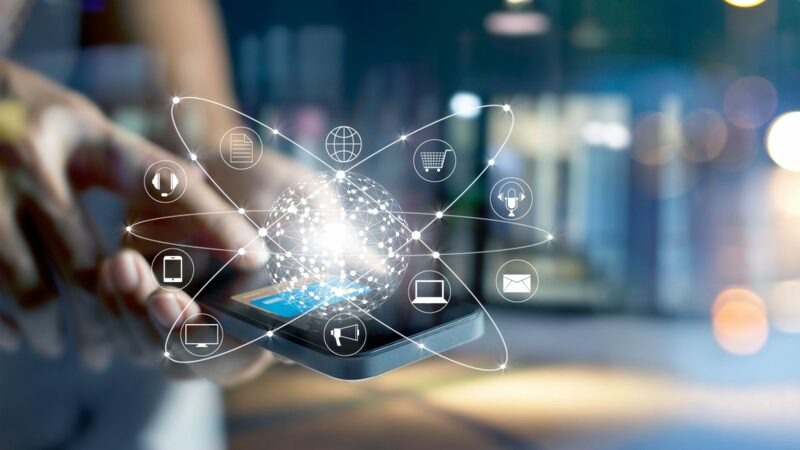 When implemented properly, omni-channel serves as a key long-term differentiator.” All the evidence points to the fact that the omni-channel experience is a “must have”, not a “nice to have”. However, it is important to note that less than 1% of all organizations have deployed an omni-channel strategy. Customers don’t see a company as individual departments, but an overall brand. They expect consistency in their experience, whether their issue is about the latest sales promotion or dealing with a support complaint. In order to provide the best customer experience, it is imperative to eliminate silos. Make sure the lines of communication are open internally and that departments share the common systems, goals, and metrics. Providing your frontlines with the authority to do what is in the best interest of the customer and company will ensure small issues don’t blow up into social media nightmares. A unified and consistent approach to service will be a significant step forward to improving the customer experience. Of course customers want you to be where they are, but it is counterproductive to be somewhere and not effectively serve your customers. A prime example of this is live chat. While a growing number of companies are offering chat, a good channel option, it must be resourced correctly. In many cases, customers have to wait for an agent to join a chat session, or they receive the dreaded “Not Available” screen, or they start a chat conversation and walk away from their computer for a moment only to come back and find the chat closed. All this showcases that companies are not efficiently managing resources and are spreading themselves too thin. Customers can forgive you for not offering a channel at all, but they won’t forgive bad service on channels you do offer. The lesson here is that customers do not care about the breadth of your “omni-ness”, but rather about the quality of the service delivered. It’s better not to be in a channel at all if you’re not able to do it well. More channels do not necessarily equal greater success. However, being in the right channels for your customer, does. Make sure you know which channels your customers want to engage you on and focus on those first. How do you know the right ones? Do you keep phone support, cut email support, and add messaging? Study your customers. Understand not only their age demographic, but also how and when they typically try to connect with your organization. Other option is to just ask your customers! Based on that valuable insight, focus on the channels where you know your customers are most active and would benefit from direct, two-way communication with your company. Then, make sure you staff, resource, and empower your employees in those channels to best represent the brand. Many companies are subscribing to the philosophy that more channels are better. Too many channels actually strain resources. A Harvard business study reveals that customers are actually very flexible; few customers care about the means they use to engage companies. Most choose to make contact through whatever channel they perceive best meets their needs for the specific task. In fact, the same Harvard study found that only 16% of customers are “means-focused” (committed to a certain channel of preference, regardless of rather it fits the task), while 84% of customers are “ends-focused” (focused on solving their issue, regardless of the channel used). So, limit your customer service channels to the ones you can support well. Once again, customers can forgive you for not being there, but they won’t forgive a bad customer service experience. While the phone remains the go-to communication method of choice for some difficult or urgent use cases, text messaging and Facebook Messenger channels are fast gaining acceptance, and not just with millennials. All age groups are using SMS/text messaging more than ever. In fact, the fastest growing channel is “text messaging”. A recent Forrester study highlights that “The pervasiveness and familiarity of text messaging makes it an ideal channel to win, serve, and retain customers who require assistance from a contact center agent.” Consumers agree. In one study, 66% of respondents said that one of the reasons they preferred to send a text to a company’s customer service department was because it was less time-consuming. In addition, 42% said they preferred to do so because it was more convenient than using the telephone, and nearly a third said that sending a text was less frustrating than calling the company. While the omni-channel experience may be the holy grail of customer service, the true prize is a loyal customer. The priority should always be to provide a helpful, positive experience that will enhance the relationship with a customer. Therefore, continue striving for customer service excellence. Dedicate the resources, embrace relevant new technologies, and know your customer’s channel preference. The investment will ultimately be worth it.